It seems like there is a new kid on the block each week. Whenever I think that the dust is settling, someone comes running through like the road runner kicking up a new cloud trail. To be fair, Seagate not exactly a new kid on the block and is most definitely not new to storage. With Seagate’s expansion through acquisitions (including LaCie in August of 2012), they took all the best features of LaCie and their knowledge of storage and put together what might be the next middleweight contender. Having great success in Storage, Seagate may have what it takes to steal some thunder and introduce a NAS that may turn some heads. 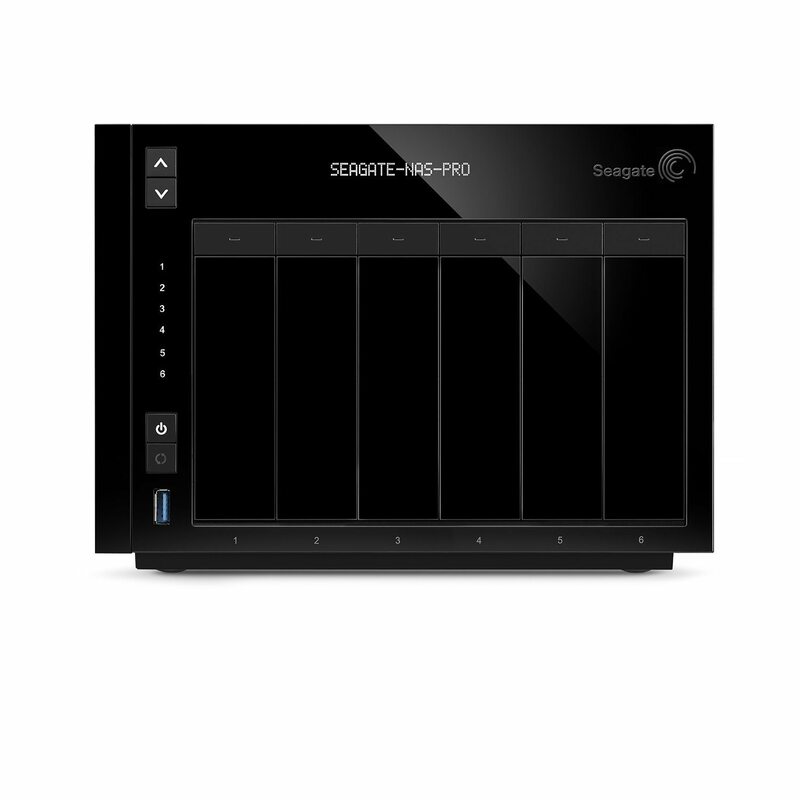 First, the Seagate NAS Pro is offered in a couple of flavors: 2 bay, 4 bay, and 6 bay. Each of these are offered disk-less and populated with varying drive sizes with the 6 bay version maxing out at 30TB (5 x 5TB drives with no redundancy). The DP6 (6 bay version) is powered by Seagate NAS OS4 (Linux variant) and a 1.7Ghz Dual-Core Intel 64-bit processor. The NAS is outfitted with 2GB of DDR3 RAM, dual Gigabit Ethernet Ports, weighs in at just about 6.60lbs, and measures a compact 170mm H x 236mm W x 218mm. The NAS supports many of the popular RAID variants: RAID 0, 1, 5, 6, 10 and… wait for it… SimplyRAID. If you have ever encountered a LaCie NAS, that will be a bell-ringer. If you haven’t guessed it, Seagate owns LaCie and used the LaCie tech to develop the Seagate PRO NAS. That is comforting as I am quite fond of the LaCie brand and their attention to detail. The internal file system is limited to EXT4. 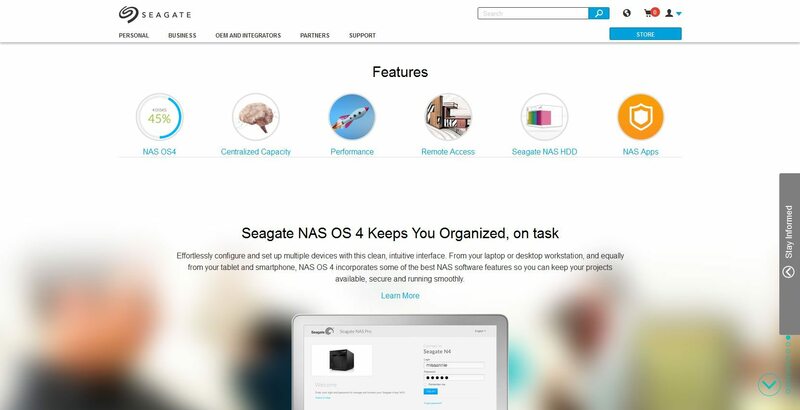 Seagate’s marketing page for the 6-bay pro NAS is very web 2.0. The hyperlinks draw to anchors on the page instead of taking us to new pages and we get a good glimpse at what we can expect from this NAS. Effortlessly configure and set up multiple devices with this clean, intuitive interface. From your laptop or desktop workstation, and equally from your tablet and smartphone, NAS OS 4 incorporates some of the best NAS software features so you can keep your projects available, secure and running smoothly. Scalability is key. And the Seagate NAS Pro allows you to decide on the capacity that’s right for you—from a comfortably large 2TB, up to a massive 30TB. Fire it up, complete the easy installation process, and begin centralizing your data, documents and other digital assets. Back up your PCs and Macs, and start collaborating and sharing productively. A 1.70GHz dual-core Intel processor, with 2GB of RAM, provides up to an impressive 200MB/s of file transfer performance. That is powerful enough to support up to 50 users, and to help give the creative pros in your group the ability to access and collaborate on large, complex files. 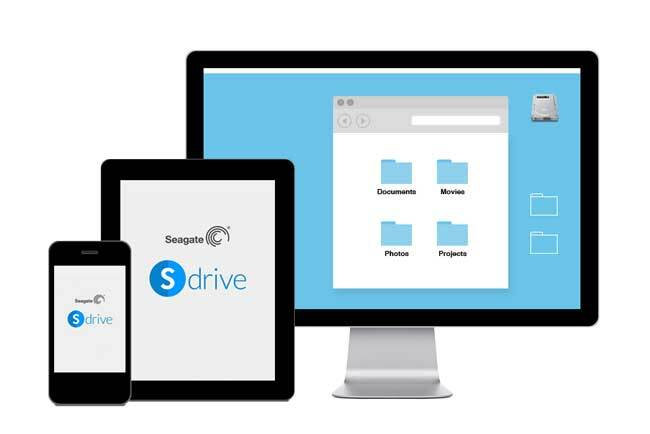 The Seagate Sdrive™ is the easiest, most intuitive way to connect to your NAS Pro if you’re away from the office and need to look for or grab a file. From any desktop or laptop, access your NAS Pro by clicking the Sdrive icon (from Computer or Finder). Go ahead and drag-and-drop files, or search for that particular file and open it directly with its native application. From your smart phone, you can securely and easily access your files from the Seagate MyNAS as well. 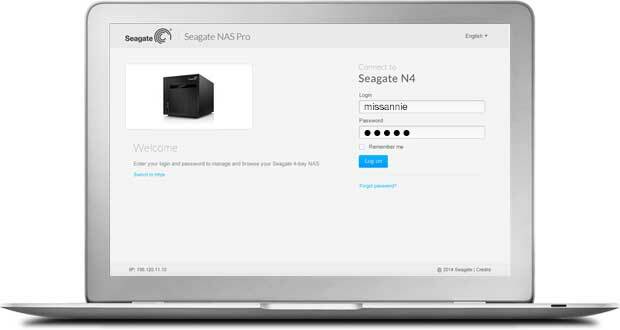 NAS Pro uses Seagate NAS optimized drives—exclusively—in capacities up to 5TB. NAS HDDs are designed specifically for NAS applications running 24×7 and are much more reliable than standard desktop hard drives. With improved vibration tolerance and advanced management capabilities, the industry-leading NAS HDDs on board can support several optimum power and performance profiles so you can strike the right balance. Seagate delivers a NAS that can run with the big dogs. The DP6 is affordable and polished.